Greek Pace 124 A study in third declension nouns, with an introduction to the subjunctive mood and the infinitive. 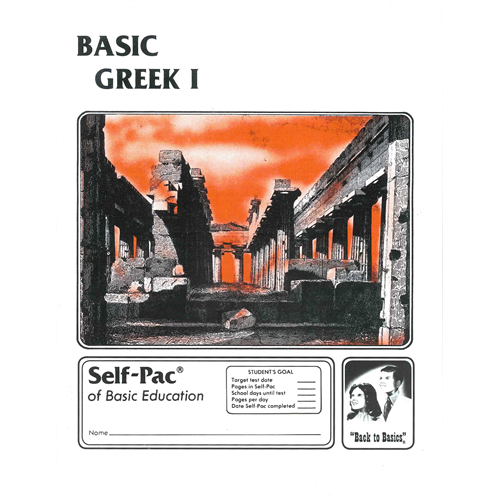 An introductory course in the Greek of the New Testament designed to enable the upper-level high school student to read from the Greek New Testament. Vocabulary, grammar, and accidence are the major studies, ending with an application of all grammar learned by translating I John. This course is a Prerequisite for Greek Paces 1011-1020. Resource Resources: Greek New Testament (Textus Receptus) Greek Handbook - A collection of material necessary for memorization and review: orthography, accents, punctuation, the inflection charts for nouns in all three declensions as well as for pronouns, adjectives, and participles; the conjugation of verbs; and an organization of prepositions.